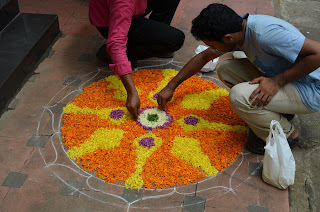 We were in the Indian state of Kerala for the celebration of their holiday, Onam. 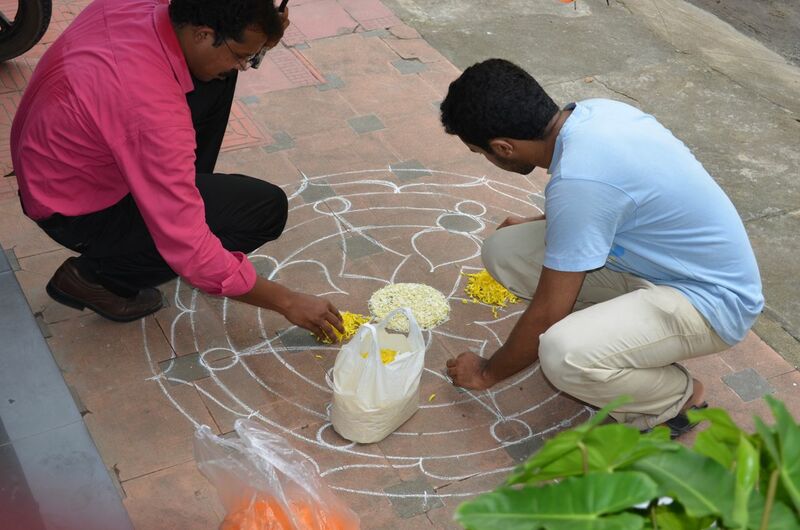 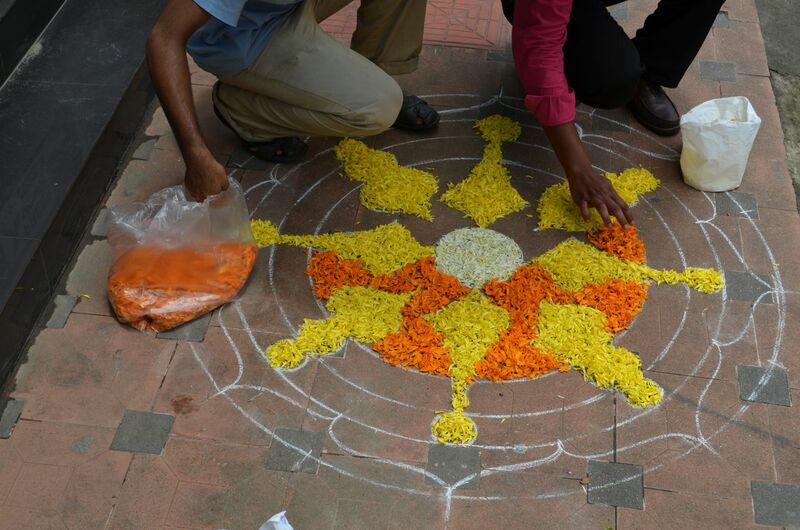 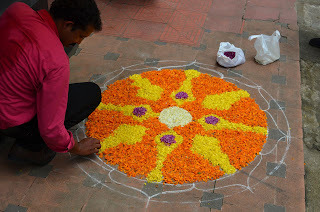 According to wikipedia, Onam is a Hindu festival celebrated by the people of Kerala, India. 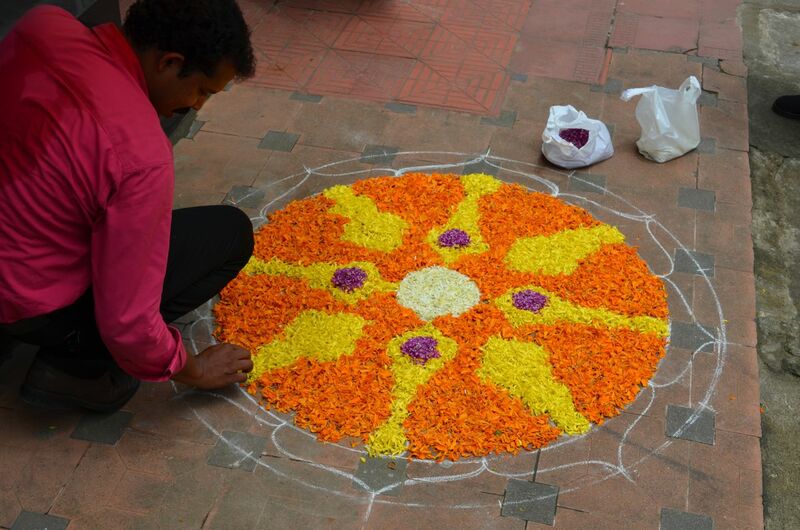 The festival commemorates the Vamana avatar of Vishnu and the subsequent homecoming of the legendary Emperor Mahabali. 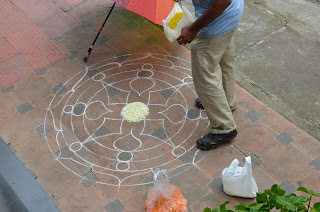 It falls during the month of Chingam (August–September) and lasts for ten days. 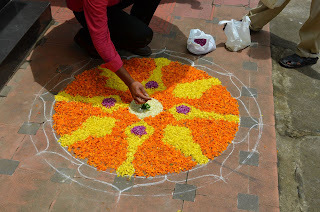 Intricate flower carpets, elaborate banquet lunch, snake boat races, Puli Kali (the tiger dance I had previously posted about, and the Kaikottikkali dance all play a part in the festival. While we were in Kochi, we stayed at Sajhome. 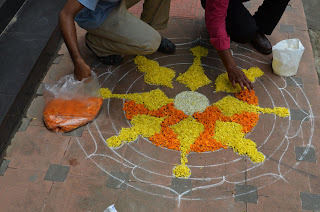 Saj and his family were celebrating Onam and I was able to help decorate their pookalam, a flower carpet, assembled on the sidewalk outside their home. 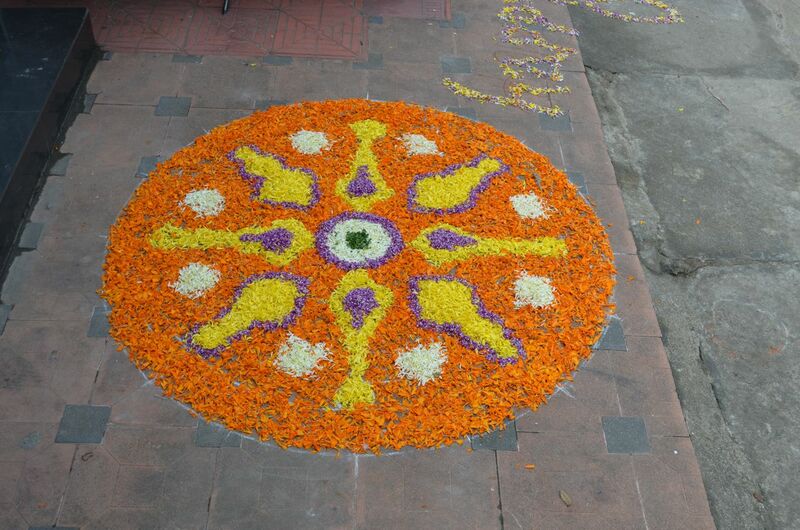 Some pookalam are quite elaborate. 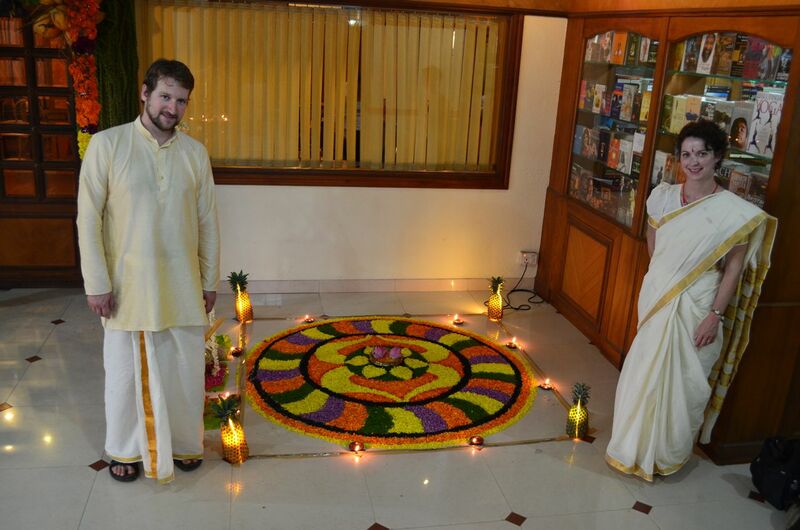 Here is the one in lobby of our hotel in Alleppey - that is my daughter and son-in-law in traditional dress.